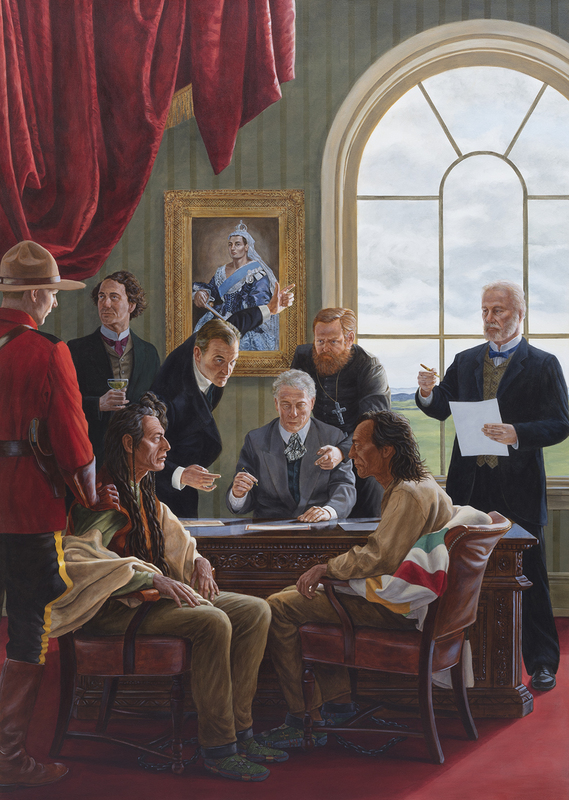 Kent Monkman’s Shame and Prejudice: A Story of Resilience was created as a response to Canada 150 sesquicentennial celebrations. Monkman’s gender fluid, time travelling alter-ego, Miss Chief Eagle Testickle is the guide on a journey through Canada’s history that starts in the present and takes us back to the years around Confederation. Starting in the harsh urban environment of Winnipeg’s north end, and contemporary life on the reserve, Miss Chief takes us all the way back to the period of New France and the fur trade, addressing some of the darkest chapters of Canada's past and narrating a story of Canada through the lens of First Nations' resilience. As both artist and curator of the exhibition, Monkman places his own paintings, drawings and sculptural works in dialogue with historical artifacts and artworks borrowed from museum and private collections from across the country. With a focus on his new paintings and drawings, this exhibition provides a searing critique of Canada’s colonial policies in response to celebrations of Canada’s 150th birthday. As Monkman explains, “The last 150 years—the period of Modernity—represents the most devastating period for First Peoples, including the signing of the numbered treaties, the reserve system, genocidal policies of the residential schools, mass incarceration and urban squalor.” As both artist and curator, Kent Monkman has included his own paintings, drawings and sculptural works, in dialogue with historical artefacts and art works borrowed from museum and private collections from across the country. 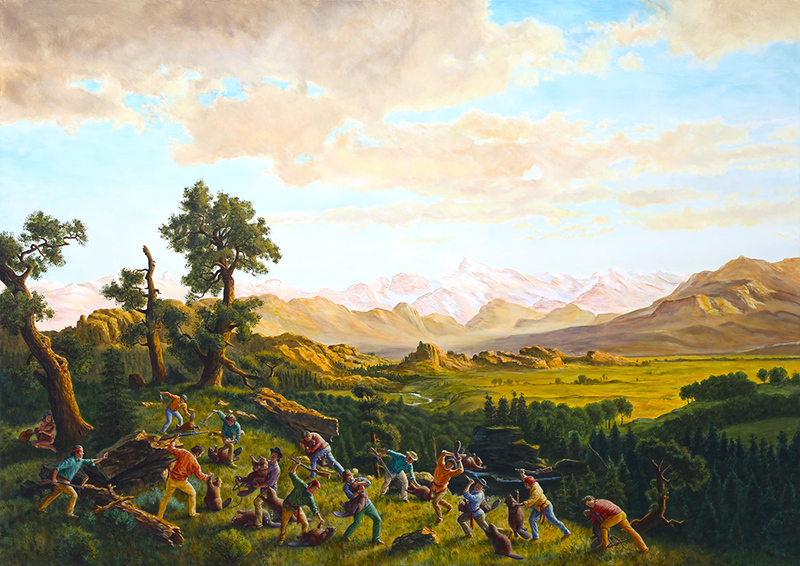 Kent Monkman is a Canadian artist of Cree ancestry who works with a variety of mediums, including painting, film/video, performance, and installation. His work is known for its provocative reinterpretations of romantic North American landscapes and explores themes of colonization, sexuality, loss, and resilience - the complexities of historic and contemporary Indigenous experience. The exhibition was produced by the Art Museum at the University of Toronto in partnership with the Art Gallery of Nova Scotia, and has been made possible in part by the Government of Canada and the Ontario Arts Council. Lead Sponsor: Donald R. Sobey Foundation.